All roofs need to be built at a high quality because all roofs are exposed to rain, the scorching sun, high winds and extreme hail storms. So to prevent the roof from becoming damaged and helping it last longer it is essential to inspect the building. 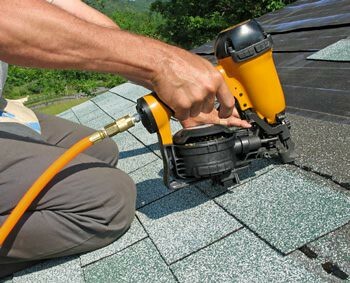 I would recommend that you examine the roof regularly so you can notice any change that happens and prevent it. There are a few steps that need to be followed to be guaranteed a longer life for your roof. Firstly you should undertake regular inspection. The warning signs of a damaged roof in cracked slates or rust spots; the shingles are buckling, curling or blistering; and worn areas around the chimneys, pipes and skylights. Another warning sign of a damaged roof is if you find bits of grit in your guttering. Black algae stains are just cosmetic, but masses of moss and lichen could signal roofing that’s decayed underneath. And finally just something basic that if anything is missing or has popped out then you should get it replaced immediately. The Second Step you should take is being alert and being prepared. You should check your roof a few times a year. You don’t want to check it to many times and then you don’t notice something that has happened, but you also don’t want to check it minimal amount because you wouldn’t notice if its meant to be like that. I would recommend the start of every season. Early signs of trouble include dark areas on ceilings, peeling paint on the underside of roof overhangs, damp spots alongside fireplaces, and water stains on pipes venting the water heater or furnace. When you decide you want to plan inspection I feel you should have everything that you want to check written down so it reminds you that it needs to be done. And if you want to be very specific try a scoring system so like I do on my own roof is give it a score out of 10. 10/10 being spot on and nothing wrong with it but 1/10 being terrible and it needs to be fixed immediately. If you have a simple peaked roof surrounded by low landscaping, your roof probably stays clear of leaves on its own. But if the roof has a number of tree’s surrounding it then there will be piles of leaves probably which collect in roof valleys or near chimneys. If you don’t remove them, they’ll trap moisture and gradually decompose, allowing wind-blown seeds to take roof. The 4th step is clearing the roof of moss. Leaving moss growing on your roof can shorten the life of your roof drastically. 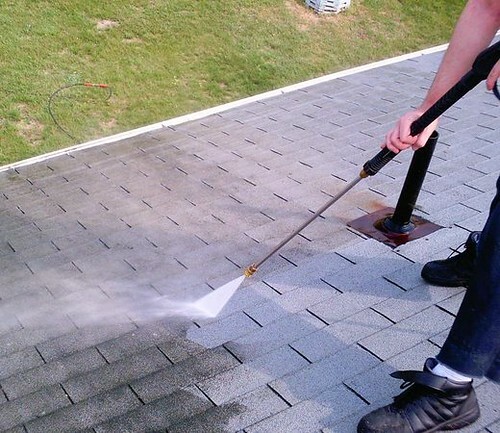 Having moss on the roof during the winter causes it to react and make the shingles brittle. Moss holds moisture against the wood, speeding rot. Moss can even crack cement or ceramic tiles. And finally if none of these steps help your roof then the only option would be to get it replaced. If you can replace it while it’s still structurally ok. It will be cheaper than getting it fixed when its caved in. Hillary Ealey is a new blogger with a keen interest in anything Home Improvements or D.I.Y. She is currently blogging on a new blog called http://lifeinatoolbox.co.uk/ .